Big market moves can make investors nervous. But should they? Consultant Alexei Bayer and ThinkAdvisor's Gil Weinreich discuss. Several factors, including the rise of ETFs, are affecting the stock market. Volatility is back with a vengeance. Since the beginning of the year, stocks have been soaring or plummeting with regularity, often trading in 200- to 300-point ranges on any given day. Oil, too, has been swinging wildly, and on Thursday prices surged more than 5% after Saudi Arabia and its allies attacked Houthi rebel forces in Yemen. A weakening dollar also fed the oil rally since oil, like most commodities, is traded in dollars, but for most of the year the dollar has been on a tear, climbing higher. 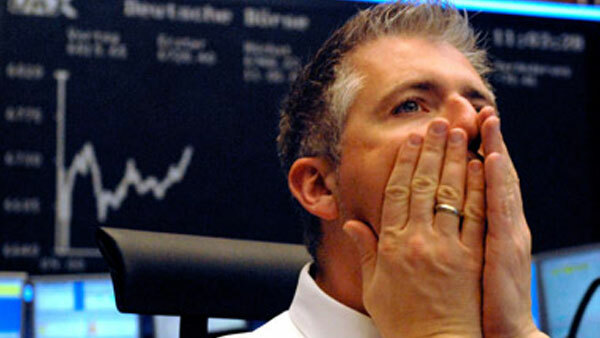 Financial markets this Wednesday were a prime example of market volatility. The dollar fell 0.5%, the Dow dropped 1.6% and the Nasdaq fell almost 2.4% while oil prices surged 4%. An expectedly big drop in durable goods orders hurt stocks and the dollar while oil gained on reports that the Saudi Arabia was massing troops near its border with Yemen before today’s attack. Such big moves can make investors nervous, but should they? The growing popularity of exchange-traded funds among retail investors, which increases arbitrage trades between ETFs and their underlying securities. The global ETF market swelled 17% in 2014 to $2.6 trillion and could top $3 trillion this year, according to a recent Deutsche Bank research report. U.S. ETFs, which account for more than 70% of the global ETF market, grew even more, up 19%. The dominance of traders, rather than investors, in the U.S. stock market. Bayer says the Federal Reserve’s quantitative easing policy – buying several trillion dollars worth of government bonds and mortgage-backed securities – has resulted in bigger bank cash reserves rather than more loans, leaving traders, not investors, dominating on Wall Street. Expensive stock valuations. Bayer says many dynamic companies are trading at $300-$400 a share, keeping those stocks out of the reach of Main Street investors and pushing them into ETFS. A growing number of private technology companies shunning IPOs. At the end of 2014, 49 private companies were worth over $1 billion, up from 28 at the end of 2013, says Bayer. The growing stock market volatility is also a byproduct of the neverending struggle between greed and fear in the financial markets, says Bayer. Greed is the optimism that drives investors to buy assets. It’s underpinned by stronger economic growth, healthy corporate profits, improving labor markets, low bond yields and oil prices and a strong dollar, says Bayer. Fear, on the other hand, is now rooted in worries about a bull rally that is already six years old, memories of past bubbles bursting, the negative impact of a strong dollar on some corporate profits and geopolitical issues including the weak eurozone. U.S. markets are fixated on when the Federal Reserve, the U.S. central bank, will raise rates. It was the No. 1 macro concern among the financial advisors who attended the ThinkAdvisor webinar. More than 37% of those polled rated a possible Fed interest rate increase as their top concern, followed by the value of the dollar (22%) and the national debt (15.3%). The Federal Reserve has maintained short-term interest rates near zero for six years and hasn’t raised rates in nine years, says Weinreich. And when it does raise rates, which is expected later this year or early next year, it will be doing so while other major central banks in Europe and Japan are cutting rates, says Weinreich. Even former Fed Chairman Ben Bernanke told a recent PIMCO forum that there is no peacetime precedent of a central bank successfully tightening policy and sustainably exiting the zero bound, according to PIMCO. At the same time, he says the Fed is worried about possibly triggering a downward spiral, like the oil market has experienced with prices falling from over $100 a barrel last spring to around $50 today without much change in in the supply-and-demand fundamentals. The Fed is not only in a bind of sorts but also facing a paradox. If it doesn’t raise rates, it won’t have the ammunition need to react to another financial crisis because it won’t be able to lower them in response. “The Fed should get rates to 1% or 1.25%” for that, says Bayer.